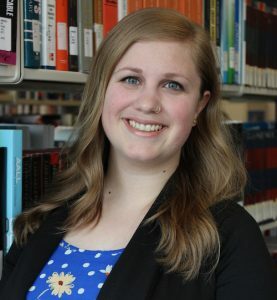 Emma Black-Scott is a new science liaison librarian at the University of Lethbridge. She’s enjoying the opportunity to learn about researching in the sciences and understanding the needs of today’s students. Her own research has led her to study fake news in the classroom, research data management in academia, and internationalizing the classroom. When she’s not in the library, you’ll find Emma playing trivia, re-watching Star Trek: TNG, or attempting to learn how to go birding with her husband.